Verbatim transcription is an in-depth and accurate transcription of an audio file. This means the transcription takes into account not only the spoken words, but also the various sounds, the non-verbal communications, and the likes. Needless to say that this type of transcription needs a keen ear and an immense attention to detail. 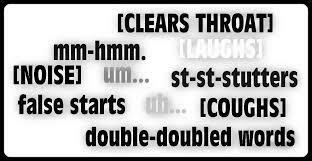 Depending upon how intensive a transcription is it may be classified as verbatim and true verbatim. Each type is important and serves very specific purpose and business needs. Between the two transcription types mentioned above, verbatim transcription is less intensive. The transcriptionist catches every word, but leaves out the fillers (words like umm, er, etc.). The transcriptionist also edits out the ambient sounds and the non-verbal communication. This kind of ‘intelligent transcription’ is generally preferred by authors, bloggers, and reporters who need to know about the subject but are not really in need of the extreme detail. This is the next level of verbatim transcription where the final transcribed material takes into account all the details of the audio file. This includes all the ambient sounds, all the pauses, laughter, and the likes. This kind of transcription is ideal for market research interviews, movie scripts, PhD interviews, or any other research. In other words, true verbatim transcription is important in situations where the ‘what’ of a subject is as important as the ‘how’. 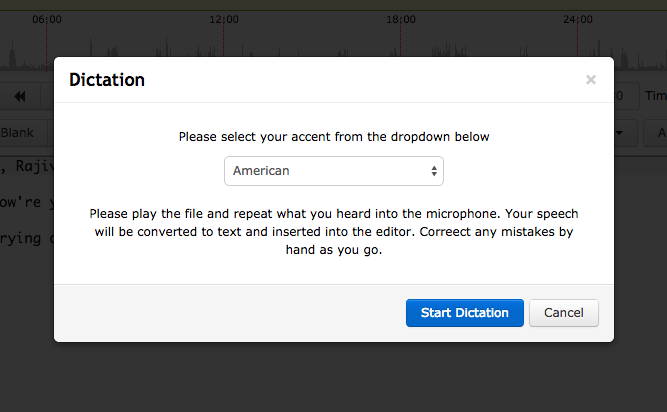 If you are looking for a strict verbatim transcription, look no further than Scribie. We offer such service on demand. All you have to do is specify it when placing an order. Upload your file today and enjoy flawless strict verbatim transcription delivered within deadline. 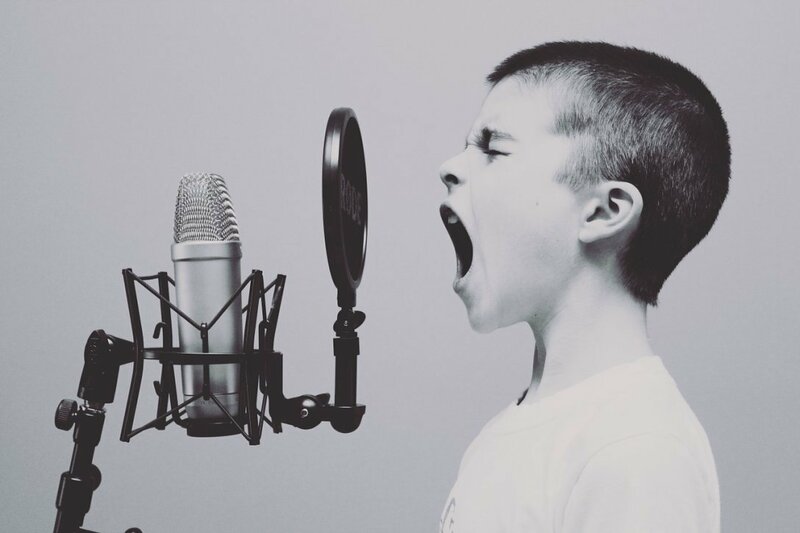 Audio/Video transcription can be a very arduous task. It takes around 4-6 hours to transcribe one hour of audio. There are several tools however which can make it easier—our Editor is one such tool. It presents the audio and the transcript document together in a single interface to expedite the process. The following is a step-by-step guide on how to transcribe a file using our Editor. As a first step, the audio/video file has to be uploaded to our server where it will be processed and converted to a mp3 file. We support a variety of formats. Generally, the video files are large and you can save some time if you convert it to an audio file. We also support importing file by URL or via Dropbox. 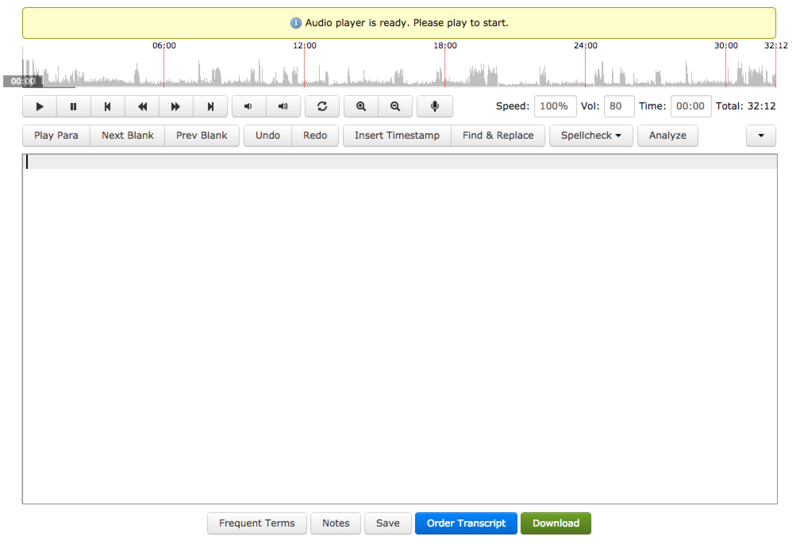 You can even import a YouTube video for transcription. Once the file has been uploaded, you can then launch the editor from the Transcribe menu option. The Editor will open in a new window and automatically be sized to fit your full screen. This way you’ll have the maximum amount of space for entering the transcript as well as cut out the distractions. You may have to wait for some time for the mp3 conversion to complete. The next step is to play the audio file. There are buttons available on the Editor for it, but a more efficient way is to use the shortcuts; F10 for play/pause, F7 for rewinding and F9 for forwarding. All these shortcuts can be changed to suit your preferences. You can assign any key combination to the shortcuts and use it as you like. Play for 5 seconds and then pause and then type whatever you heard in the text box. Repeat the process for the rest of the file. We recommend that you add timestamps at the start of each paragraph so that it is easier to jump to that paragraph later on. Press F12 to add the timestamp. You can also use the dictate functionality in the Editor. Dictating what you hear is much faster than typing it out and saves valuable time and effort. This feature is supported only on Google Chrome currently. Once the transcript is complete, click on the Analyze button. The analysis will highlight the most uncommon terms and phrases in the transcript. These are the parts that need a review since they might have mistakes. Just scan through the underlined parts and play the paragraph if required. Click on the “Download” button at the bottom. The transcript will be converted to a Word Document and you can then save it locally. You can also save it to Dropbox if you like. PDF, ODT, and TXT formats are also available for download. 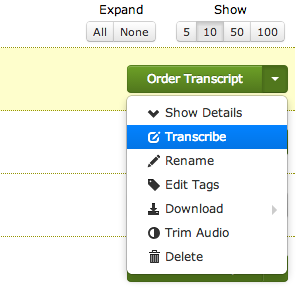 Remember that you can always order the transcript instead of transcribing it yourself. Try it out once; we assure you that you will not be disappointed with the results! The Integrated Editor has proven to be one of the most useful tool at Scribie.com. We always get great comments about it in our customer surveys. We use it as the primary editor in all the four steps of our process; transcription, review, proofreading and QC and also make it available to our customers for files which have been transcribed and delivered. But today we are changing that. The editor is now available for all files which are uploaded to our website. You can always order the transcript, but if you wish to transcribe it yourself, you are more than welcome. The following are some notable features. Conversion of transcript to Word/PDF/ODT formats. The following additional features are available on Google Chrome browser. The editor has been extensively tested and works on all HTML5 supported browsers. However we recommend the latest version of Google Chrome for the best performance. The following is a brief step-by-step guide. Click on the Transcribe link as show below. As usual, comments and feedback is most welcome. Checking transcripts after your file has been transcribed and delivered can an arduous task. You have to go through the transcript and match it with the audio file. Theoretically it should as long as the duration of the file, provided the transcript is 100% accurate. However in practice it takes around twice the duration of the file, since there are always some parts which need to re-played multiple times. There is also the issue of tools; the audio player and the Word document are two different programs and switching back and forth between them can be quite cumbersome. But on Scribie, we provide tools to make it easy for you. 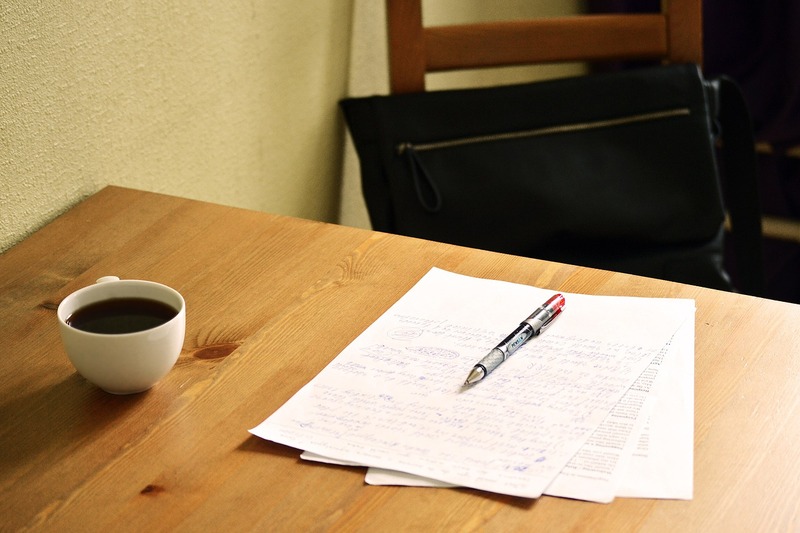 Here’s a brief guide on how to check your delivered transcripts. 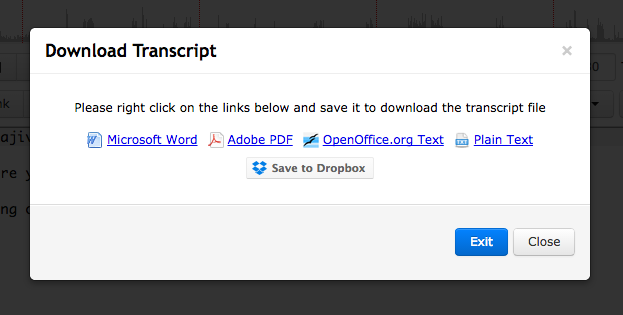 On Scribie, we provide an online tool which presents the audio and the transcript together in a single interface. The audio and the transcript is tightly coupled. 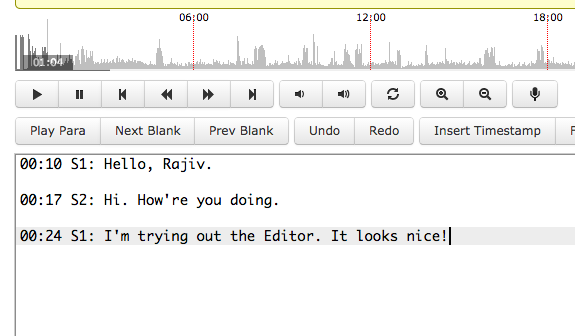 You can play any point of the audio and the cursor jumps to the corresponding point in the transcript and vice-versa. Click on the Check & Download button on the Uploaded Files page to load the Editor. We recommend that you use the latest version of Google Chrome browser for the best performance. Click on the Analyze button as soon as the Editor loads. The most uncommon terms in the transcript will be highlighted once the transcript is analyzed. These are the parts of the transcript which are likely to have major mistakes. The analysis takes around 3-5 minutes to complete. So in between you can continue with the other steps. Press Ctrl+B to start checking the blanks. The blanks are parts of the transcript where we were not sure what was being said. With the Editor, you can quickly cycle through the blanks. The audio is played from 1 second before the blank timestamp and the blank is highlighted. Sometimes we leave our interpretation beside the blank. Instead of checking the complete transcript, we suggest you play 1 minute segments from different parts of the file, spaced evenly at 6 minutes. If you find a major mistake in any of segments, then check the complete paragraph. 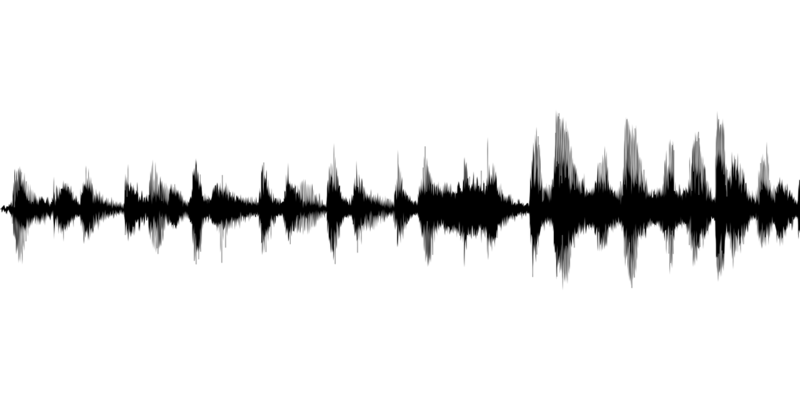 Click on the audio waveform at the top and the cursor will be placed +/- 10 characters in the transcript. You can also play individual paragraphs by placing the cursor on any paragraph and pressing Ctrl+Alt+N. The Analysis which was started at the second step would have underlined some terms and phrases in blue. Play the paragraphs which contain the underlines and make sure that nothing is wrong in them. All spelling mistakes are also underlined in red, and should also be checked. Right click on the red underlines for spelling suggestions. The Editor has a lot of functionality which helps you review the transcript and verify that the transcript is indeed accurate to 98% or more. We use the same editor for transcription, reviews, proofreading and QC. So it’s been dogfood-ed extensively. Checking a 1 hour transcript will not take more than 30 minutes if you follow the steps outlined and save a lot of time and effort. Also remember that we offer free re-reviews. If you find major mistakes, please don’t hesitate of order a re-review. The button is at the bottom in the Editor. Scribie.com is the only transcription service which offers this tool. Try it out today. We are available on email if you need any help with this. Your feedback and comments are most valuable to us. CallGraph Skype Recorder records by default in stereo mode which means that your voice and other participant(s) voice are on different tracks in the file. While playing back you will hear your voice on one side of the speaker while your caller/callee’s voice on the other side. To force CallGraph to record in a single track change the channels to mono from Configuration -> Recording tab (how-to). This change will affect all subsequent calls recorded with CallGraph. For older one’s, you can convert them to mono using an audio editor (eg. Audacity). The stereo mode is useful if you’re recording podcasts since you can edit each track separately. Having voices on separate track makes it easier by an order of magnitude. It also helps with the transcription of audio file and we recommend that you record in stereo mode if you plan to get it transcribed. Sometimes due to misconfiguration of the PC’s playback settings, only one track is audible during playback and it appears that CallGraph is recording only one side of the call, even though Skype connection has been authorized. A quick fix is to set the recording mode to mono. So, you have an audio file which needs to be transcribed to text and have no idea how to go about it. Here’s how to do it. The first thing you would need is ExpressScribe. It’s a free tool which enables quickly to start/stop/pause playback with hotkeys (or foot pedals) so that your hands are freed up for typing. To setup the hotkeys go to Control -> Hotkeys setup and enter your preferred keys. We suggest the following. The useful thing is that these hotkeys are global. So you can control ExpressScribe even if it’s not the active application, which means you can type, play, stop, rewind, and forward without leaving your text editor. Very useful. Load up a test file and play around with the setup. The second thing you would need is a good headset. Transcription is time-consuming and when you wear it for long periods of time you may start feeling a bit of pain around your ears. Any headset with some padding around the earpiece will do. Do not play it on your speakers because then you will make lots of mistakes. The third thing you would need is a text editor. You can use Word, OpenOffice.Org or any other editor of your choice. At a minimum, it should have word completion and spelling auto-correction. While typing you’ll find that you misspell a lot of words and to correct them you’ll have to stop and go back constantly. Auto-correction will save you time. Similarly, auto-completion will save you typing, at least for common words. Once everything is set up, you’re good to go. Bring up your editor, play the file, pause and type whatever you understood. Play-pause-type. Rinse and repeat till the file is complete. One pro-tip is try not to rewind too much. Rewind as few times as possible. Better still, instead of rewinding just mark the inaudible portion with a blank or make a guess, and after you’re finished go back and review the file. You’ll finish the file faster this way. On an average, it takes around 4 to 6 hours to finish 1 hour of audio. It varies by your typing speed, the audio file quality and/or the diction of the speaker. Difficult files take longer. Plus, you’ll notice sometimes you cannot catch a few words, no matter how many times you rewind and play it back. Ask for a second opinion if you can. As you would have guessed by now, it’s a painstaking task. It takes a lot of time and effort. That is exactly why we have the Audio Transcription Service. We do all the work for you and deliver a high quality transcript after 1 business day. For $75 you can get an hour of audio transcribed. We have a rigorous process and have transcribed over thousands of hours of audio to date. Try it out and check out the results for yourself. On the other hand, if you like transcribing then check out our Freelance Transcription Program. You can work as a home-based freelance transcriber and get paid on an hourly basis for the work done. If you get the message “Another application (CallGraph.exe) is attempting to access Skype, but we are unable to respond” from Skype, here are few things you can do to resolve this issue. Make a call to Skype Test Call Service (echo123) or any other contact. This will force Skype to check it’s database of whitelist’ed plugins and respond to CallGraph thereafter. Restart both Skype and CallGraph several times. To exit CallGraph, click on the CallGraph system tray icon and choose exit from the popup menu. Same for Skype. Try starting CallGraph after 15-20 minutes of starting Skype. This will allow Skype to settle down a bit and have more time to respond to CallGraph. Ensure that both Skype and CallGraph are running as non-admin. Both Skype and CallGraph do not require admin permissions to run. Check if your Antivirus or Firewall is blocking the communication between Skype and CallGraph. Try adding exceptions for both Skype and CallGraph. Try re-installing both Skype and CallGraph. Download and install the vcredist_x64.exe from the Microsoft website. Click here for step-by-step instructions on how to authorize CallGraph to connect to Skype. From our testing what we have found is Skype is usually able to respond back after a few tries. So restarting CallGraph a few times works. If nothing works then enable logging in CallGraph (configuration -> general tab), restart CallGraph, start recording and stop it after 5 seconds and send the log file to support@scribie.com. Two more videos on how to record Skype calls using CallGraph. The first one has a nice walk through of the steps of Skype Authorization. Have a look. Thanks to miliondollaskillz and 118windsor. You can also record your own videos and get it featured here. You can also record your video tutorials get free upgrades to premium accounts!